Bustling London is busy all times of year but can also be visited at any point without the risk of missing out on any fun! With its mild climate and rare extreme weather, a trip to England’s Capital is perfect for your next vacation. But your visit will be different depending on the time of year. See our guide to visiting during London’s four seasons below, and be sure to book any number of our Top Sights Tours to make sure you see the sights of the city. Visiting London in the spring, you’ll enjoy longer daylight hours and mild weather, with temperatures averaging 11° to 15°C (52 to 59°F). It’s still best to travel with an umbrella, as spring rainfall is common. Easter falls in this period, with public holidays on Good Friday and Easter Monday. Most shops are closed on Easter Sunday, and there may be changes and reduced public transport services. Central London is busy over the Easter weekend and for the duration of the two-week Easter holiday. The summer is a great time to visit, with warm (even hot!) weather where you can make the most of London’s green spaces, beer gardens and rooftop bars. Temperatures average 18°C (64°F) and can go above 30°C (86°F) – perfect if you’re attending one of London’s summer music festivals or outdoor cinemas. With the good weather and school holidays, the summer months are the most popular time of the year to visit London. Book attractions in advance to skip the queues with us. The busy summer season comes to an end in the second week of September. 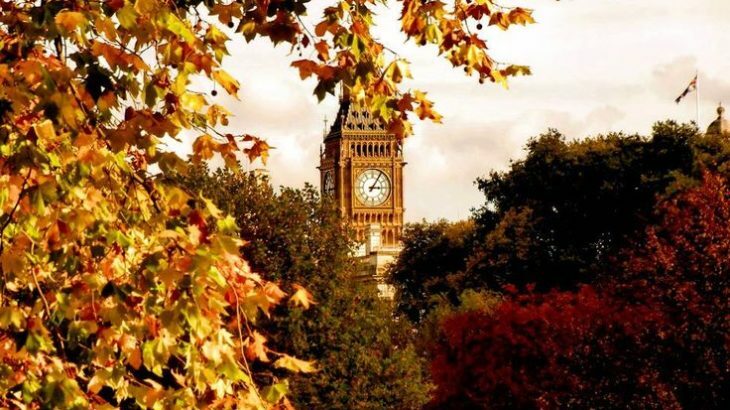 Autumn is a lovely time of year to visit London, as the weather is mild, 11° to 15°C (52 to 59°F) and you can enjoy a variety of annual events, from the Totally Thames festival to Halloween celebrations. You can see the spectacular Christmas lights and decorations from November onwards. The October half-term is one of the key times for families to visit, taking advantage of the school holidays. 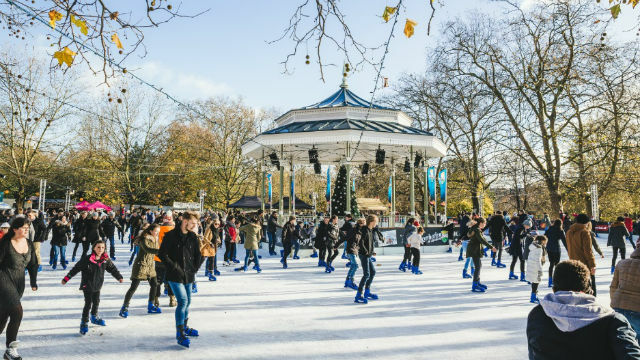 Although London is colder in winter, average temperatures of between 2 and 6°C (36 to 43°F) mean you’ll still be able to fully enjoy the city – just make sure you wrap up warm! December has the added bonus of the Christmas lights, decorations and activities taking place. Make sure you check public transport in advance from Christmas Eve to New Year’s Day as there may be engineering works and reduced services. Don’t forget to visit the January sales, which start straight after Christmas. January and February are generally quieter times of year to visit and, apart from the February half-term week, you can often find cheaper deals on accommodation, attractions and restaurants.